When striving to get gorgeous, glowing skin, you can make use of natural ingredients like banana, honey, nutmeg, avocado, aloe vera, yogurt, lemon juice, orange, papaya, and so on to prepare homemade face masks. 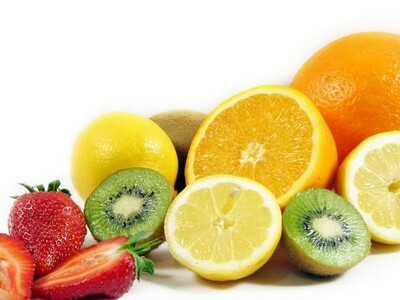 These fruits are rich in various nutrients that improve your skin quality and complexion. These natural cures, however, may not give instant results. Thus, you will have to follow these procedures on a regular basis for at least a few weeks. • Take a cup of mashed pumpkin, a quarter cup of plain yogurt, and two tablespoons of organic honey. Blend these ingredients together to prepare a face pack and leave it on your skin for about 10 minutes. Finally wash it off with lukewarm water. Those who have dry skin can refrigerate this mixture for 10-15 minutes before application. Similarly, those with oily skin can slightly heat the mixture in a microwave before applying it. • You can use a moisturizing face mask prepared by adding a tablespoon of honey in a ripe banana (mash it with the help of a folk). Apply it on your skin for about 20 minutes and then rinse it off to enhance the radiance on your face. • Boil a few carrots and mash them. Then, add two tablespoons of honey and spread this beauty care recipe on your skin, whether it is normal, dry, or oily. Rinse it after 10-15 minutes. • Combine one teaspoon of orange juice and two teaspoons of plain yogurt. Leave this mixture on your skin for almost 15 minutes and then wash it off. In case you do not have yogurt then use milk. • Mix some raw milk, sweet almond oil, olive oil, and orange peel powder. Spread this solution on your face and neck for 15-20 minutes. Finally rinse with ice cold water. • Apply a combination of two tablespoons each of lemon juice, tomato juice, and radish juice for 20-30 minutes every alternate day. It can help reduce blemishes. • Soak a handful of almonds in water overnight. Next morning, peel their skin and grind the almonds. Add a little water while grinding to form a paste. Apply this paste on your face and rinse after 15 minutes. Apart from making your skin glow, this facial mask protects the skin from sun damage and helps heal blackheads. • Another homemade recipe for face mask involves the use of honey, oats, yogurt and almond paste. Blend these ingredients to make a creamy mixture and leave it on face and neck for 15-20 minutes. You may also add a pinch of nutmeg in this mixture. • In case you have sun tanned skin, apply an exfoliating homemade face mask prepared from honey and sea salt. Gently massage and leave it on skin for 10 minutes. Finally, wash it off with cold water. • Scrub your face with a tomato slice (it has cleansing properties) and then apply a face pack prepared by adding lemon juice and yogurt in a tablespoon of gram flour. • Simply applying a combination of honey and raw milk and then washing it off with warm water after 15 minutes is highly beneficial for giving a healthy glow to your skin. • Another easy way to nourish the skin and lighten the complexion is to regularly massage mashed papaya on your face and neck for about 15 minutes. • Prepare a homemade scrub recipe by mixing fresh yogurt, lemon juice, dried and powdered orange peels, ground almonds and dry basil leaves. Leave this combination on skin for 10-15 minutes. Follow this remedy at least one or two times in a week. • Those who have dry skin can apply a combination of almond oil, honey, and milk powder. In addition, it is essential to drink sufficient water throughout the day to maintain healthy and shiny skin. Plus, exfoliate your skin at least once in a week to remove dirt and dead skin. Make sure you wash your skin thoroughly before applying any beauty care recipes. Lol it actually worked.My sister used oatmeal and apple juice and her skin is beautiful !